When the need arises for weekly or monthly accommodations we have a variety of options. Whether you’re planning an extended holiday, relocating or need accommodations in Charlottetown after a summer at the cottage. 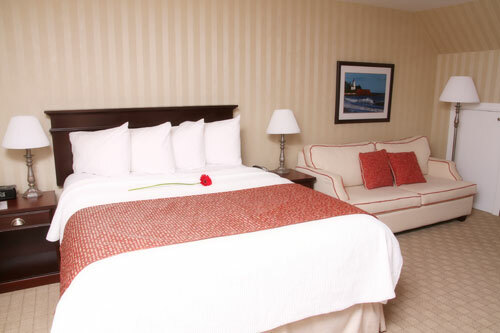 We are the place to stay with the perfect location within walking to restaurants, shopping and groceries. We have a full service restaurant on site. We are ideally suited for extended Holidays, Insurance Relocations, Real Estate Relocations and students. We are a 10 minute walk to Holland College and a five minute drive to the University of Prince Edward Island and Atlantic Veterinary College. 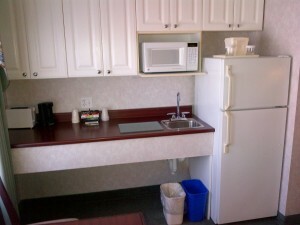 Our suites offer all of the independence you need as well as a staff member on duty 24 hours a day. To book or for further details please contact us. -Housekeeping services will be provided once a week. -We will replace towels and pick up garbage weekly. 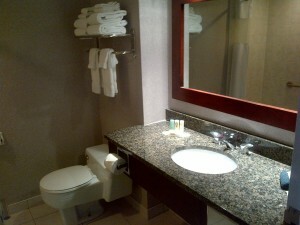 -Bed linens, draperies, shower curtains and towels are provided. -Personal toiletries such as soap, toilet paper and shampoos are not. -Long Distance phone calls must be paid for by the guest. We require your first month’s rent upon signing a lease and it is non-refundable for any reason. Upon check-in, we require a security deposit equivalent to one month’s rent which is returnable upon expiry of the lease, assuming no damage has been sustained to the room. Reward points such as Aero plan & Choice Privileges cannot be collected on extended stays.